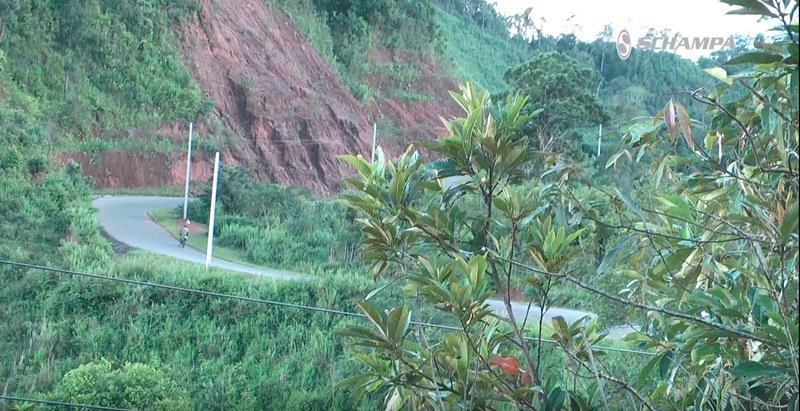 This is the fifth episode of Schampa Never Stop Riding – Laos. In this episode Andy Myers leaves from Luang Prabang to the Plain of Jar. It is a long and beautiful ride. At a gas station Andy Myers see an overloaded scooter with pans and all that is needed to setup a food stand. 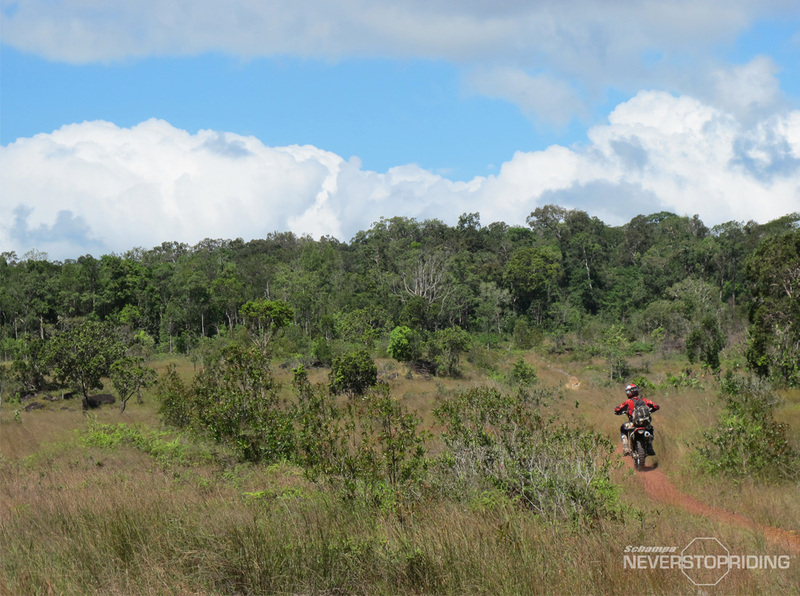 It was a great and perfect day of riding, no rain, blue skies and the amazing countryside of Laos and its hill’s tribes along the road. A quick stop for lunch and to fix some mechanical issues on the bike. After the lunch, Andy Myers goes back to the road and stops to see some kids fishing with bamboo poles. After that it started to get dark and the bike started to have more mechanical issues, so Andy Myers stops at a gas station asking for a place where he can leave the bike to fix. After signing up the “guestbook” of the gas station Andy Myers arrives at Xieng Khouang, the Plain of Jars, at night and leaves the bike at the workshop to get fixed for the next day.